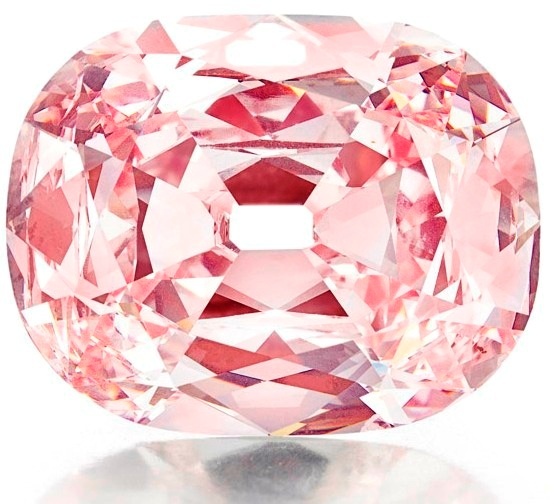 The Pink star (aka the most valuable colored diamond to date) is a beautiful 59.60 carat, oval mixed cut, Internally Flawless, IIa graded, Fancy Vivid Pink stone that was sold during Sotheby’s 2017 Magnificent Jewels and Jadeite Spring Sale, in Hong Kong. 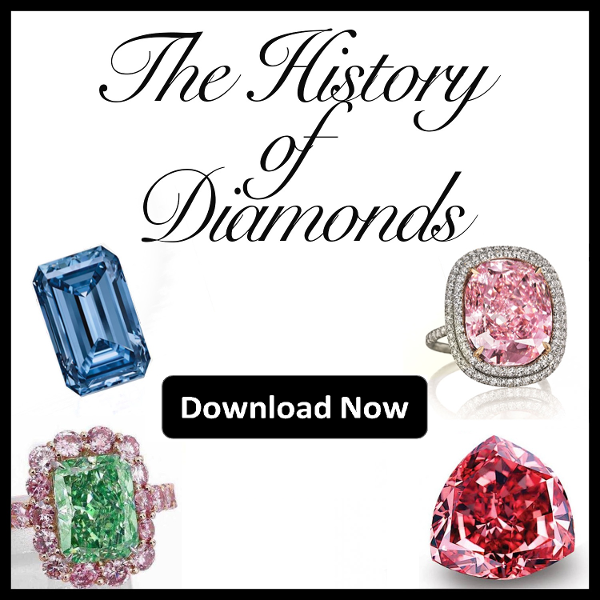 There the Pink Star shattered 2 historic records with its truly massive hammer price of $71.2 million, dethroning both the Oppenheimer blue for title of most valuable colored stone of all time, and the Graff Pink for the title of the most expensive pink diamond ever to be sold at auction. Despite no longer being the most expensive colored diamond in the world, it is still considered to be the “gem of gems”. Weighing in at 14.62 carats, this rectangular cut, Fancy Vivid Blue is classified to be the largest stone of its category (fancy vivid blue saturation) by the GIA. Named in honor of Philip Oppenheimer, this staggering stone managed to fetch $57 million at the Christie’s Magnificent Jewels sale in May of 2016, shattering all previous records to that day, essentially dethroning the next diamond on our list. The Blue Moon of Josephine might have slightly been overshadowed by the Oppenheimer Blue in terms of carat weight, it is still no less magnificent. 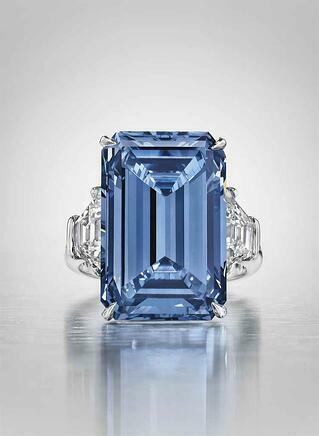 Standing in at 12.03 carats, this cushion cut, flawless, Fancy Vivid Blue diamond was sold during Sotheby’s Geneva auction of November 2015 for a jaw dropping $48.4 million, making it the most expensive colored diamond of all time up to that date. The stone’s name is attributed to the buyers daughter for whom the stone was purchased. The buyer? Joseph Lau, the same individual who purchased the Sweet Josephine back in 2009. 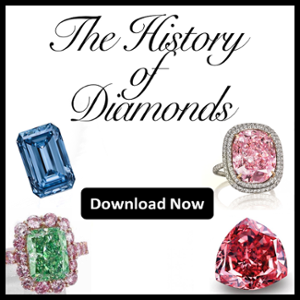 The Graff Pink is one of those stones that needs little to no introduction in the diamond industry, and especially among those whom are fans of pink diamonds. This 23.88 carat, Internally Flawless, type IIa rectangular cut, Fancy Intense Pink sold for an astonishing $46 million during the 2010 Sotheby’s Magnificent Jewels Sale in Geneva. The Graff Pink held the title for most expensive pink diamond ever to be sold at auction for 7 whole years until the Pink Star came to rise. 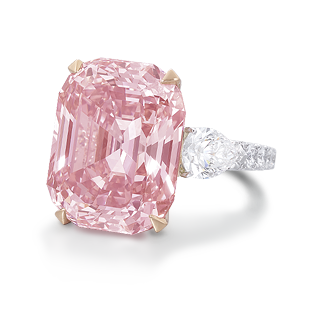 Despite no longer being the most expensive pink diamond, it still is the most expensive pink diamond of its caliber (Fancy Intense). The Fancy Intense color grading is the highest rating achievable for a colored diamond and is exceptionally rare. The oldest diamond on our list, the Princie is a stone discovered 300 years ago in the Goloconda mines in India. Weighing in at 34.65 carats, it is considered to be the fourth largest pink diamond in the world after the Daria-i-Noor, the Noor-ol-Ain, and the Pink Star. This cushion cut, type IIa, Intense Pink diamond went on to fetch a massive $39.3 million at Christie's April auction back in 2013. 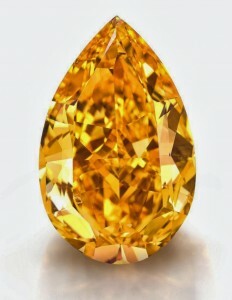 “The Orange diamond” such a simple name for such a breathtaking, rare, and important stone. This magnificent 14.82 carat pear cut, Fancy Vivid Orange is the largest orange diamond of its caliber, and undoubtedly one of the rarest as it holds an Ia rating by the GIA. The stone was shortly sold after its first public appearance during the 2013 Christie's Geneva Magnificent Jewels Auction. It was during that auction the diamond fetched a very respectable $35.5 million becoming the most expensive Fancy Vivid Orange diamond to ever be sold at an auction. Considered to be the “Picasso of Pink Diamonds” this type IIa, oval mixed cut, 14.93 carat, VVS1, was given the highest possible color grading for a pink diamond by the GIA; Fancy Vivid Pink. Additionally, the stone is set into a beautiful platinum ring, surrounded by small circular cut, colorless stones. This true work of art managed to fetch a very impressive $31.86 million at Christie’s November auction of 2017, and just fell short of achieving a price per carat record for a pink diamond ($2.16/carat), reaching $2.13 per carat. Which was your favorite diamond? Do you have any honorable mentions? Let us know! And as always feel free to follow us on Twitter and like us on Facebook.